Ask anyone who follows baseball at even a cursory level, and they’ll tell you there’s just something about the Yankees throughout the years. Whether it was Shane Spencer’s manic September in ‘98, Aaron Boone in the 2003 ALCS, or Luis Sojo driving in the World Series clinching run in 2000, put on the pinstripes and suddenly otherwise unspectacular players are capable of extraordinary things. Some call it magic, others mystique, and still some say it’s the ghosts of the old stadium. Whatever your preferred term, the bombers sure could use more of it now. 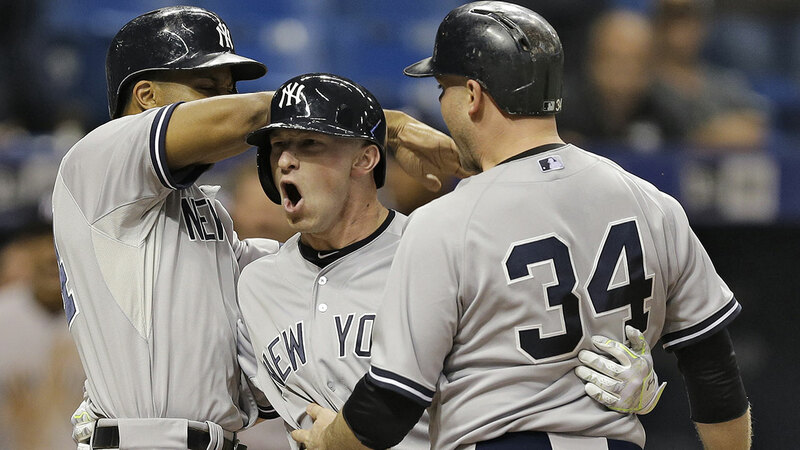 Entering today, the Yankees find themselves 3 games back of the surging Blue Jays in the AL East, and 5 up on Minnesota—the team they must keep their noses above to avoid missing the postseason all together—for the second wild card. A team that seemed so sure of not only making the playoffs, but winning the division—and easily at that—just over a month ago now finds themselves unlikely to do the latter and in a fight to do the former. So what’s changed the last month-plus? Health and age, mainly. Mark Teixeira, the teams’ first half MVP, is out for the season, leaving Alex Rodriguez—so hot early but looking more his age as the season goes on—tasked with carrying a lineup increasingly reliant on the long ball. Carlos Beltran has played well, but at age 38 is clearly not the same middle of the lineup threat he was 5 years ago, while the two “young bucks” at the top the lineup, Brett Gardner and Jacoby Ellsbury—both age 32—have struggled mightily. But every so often, a bit of mystique and aura shows up. Take Monday for example. Dead in the water for most of the night and in a gotta-have-it situation with Minnesota beating Detroit, Slade Heathcott—the injury prone former top prospect with a history of alcohol problems in his past—the unlikeliest of heroes, delivered a pinch-hit go ahead three-run homer to propel the Yankees to victory. If the Bombers are to keep pace with Toronto—and certainly if they intend to make some noise in the postseason—they’ll need to make a habit of making the improbable probable, as young Heathcott did Monday night. Maybe it’ll be in the form of Greg Bird—Teixeira’s replacement—who has looked anything but out of place in his first month in the big leagues. It could be rookie righty Luis Severino, who turned in another gem Wednesday night and seems to have to tools to be the Yanks future—if not present—ace. With 6 big games looming against winning teams—3 with the Mets, 3 with the Jays—before the schedule eases up, the coming week will do a lot to shape the Yankees fate. Win 3 or more, and they’ll be okay, less than that, and the stage could be set for a frantic final two weeks. And there’s no time like the present for someone—anyone—to rise to the challenge and make those old ghosts proud.